In food processor, combine all ingredients. Cover; process 30 to 45 seconds or until smooth. 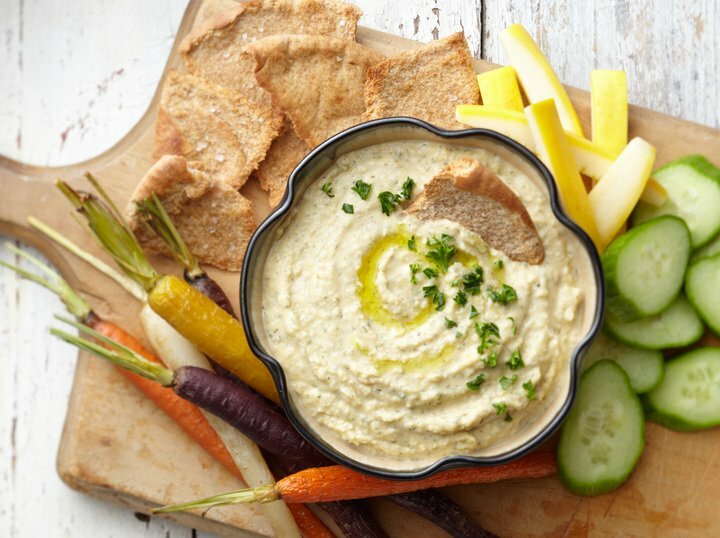 Serve with raw vegetables or pita chips. Tip: To save time, you can use Ranch seasoning mix instead of the dried herbs.